FIAF is thrilled to host NYC’s first ever All IN(clusive) All-City Theatre Ensemble presentation NEXT STOP, an original musical production. 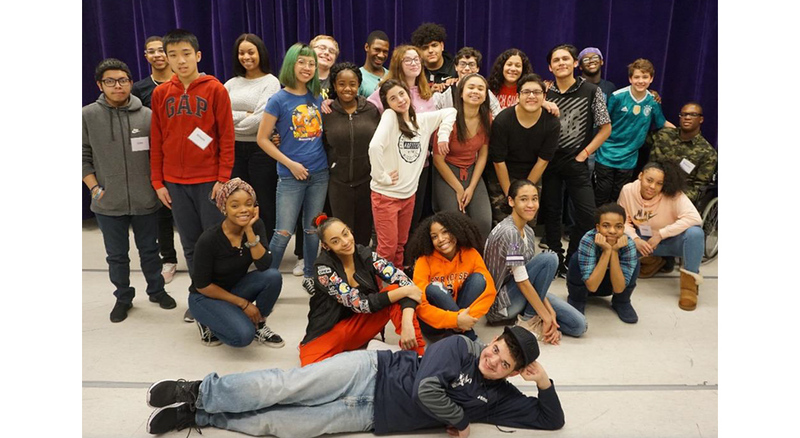 In response to the important and heightened awareness of equity, diversity and inclusivity in the educational and professional theater worlds, the NYC Department of Education Theater Program introduces the innovative All IN(clusive) All-City Theatre Ensemble. With generous support from the Shubert Foundation, this Ensemble of inspired public school creative teens—representing the city’s dynamic diversity of backgrounds and abilities—collaborate, devise and produce a unique musical production. A caring team of gifted professional theater artist educators facilitate the students’ community-building and artistry, guiding them to create original work based on their individual experiences and collective imaginations.